There is no doubt that some of the greatest sweet wines in the world come from the Sauternes region of Bordeaux. Whilst the top red wines of Bordeaux are highly demanded and often highly priced, the classic sweet wines are incredibly under-valued in today's market. We are pleased to bring you an offer of a fabulous mature Sauternes from the great 2007 vintage that has received sensational reviews from the critics, yet we can offer it at £100 per case less than when it was first released a decade ago. 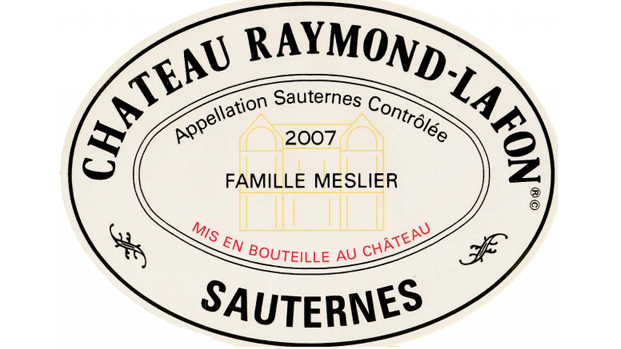 Critic Neal Martin wrote that Raymond Lafon 2007 was “one of the best value wines of the vintage” - and that was written when the wine was £290! Now, at just £190 per dozen, it has to be considered as an absolute steal. This small property is situated next to Château d’Yquem and was purchased by former Yquem managing director Pierre Meslier in the 1970s. Production methods are similar to those used at Yquem with only around 1600 cases produced annually. Average yields are a miniscule 8 hectolitres per hectare. It really is ridiculous that a wine of this quality and rarity is available at such a low price. "It never ceases to amaze me just how well Raymond-Lafon performs year after year. The 2007 has an elegant bouquet with touches of tangerine and dried honey, the underlying minerality beginning to show through with further aeration. The palate is medium-bodied with a viscous entry, good acidity with a very taut finish that will need time to express itself. This remains one of the best value wines of the vintage." “Pale straw. Quite big and rich and massive. Pear juice and very intense. Very well done! Obviously lots of botrytis and almost but not quite over the top. Very clean and precise. Yes! Long." “A bright golden colour in the glass, this has an explosive nose of dried apricots, manuka honey, marmalade and vanilla. The palate is rich and full bodied, with notes of buttery Danish pastries - cinnamon, honeyed peaches and baked vanilla. There is a cut of acid that brings a more lifted quince note through the mid-palate with an added earthy, smoky complexity that rounds the fruit. These savoury notes mellow the sweetness and the maturity of nearly a decade in bottle makes this perfect for drinking now. Long and sweet but not cloying, this is a seriously impressive wine for the money."